Custard’s National Third Party Administration Division is a nationwide, full service, multi-line TPA with individually tailored programs for each of our clients. We work with each of our clients so that we fully understand their respective industries, operations and risk management goals. Then, in partnership with our clients, we use our state of the art management information systems and claims management principles to help them achieve their goals. With access to all CIA facilities and resources, this division can provide effective solutions for almost any client. Experienced staff, our 24-hour HOTLINE, and our nationwide network of adjusters helps us to respond to our clients’ needs whenever and wherever they occur. Online access to our claims system is also offered for client partners who desire complete access to their programs. 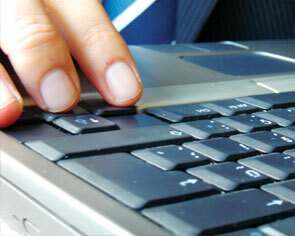 Our information technology systems are flexible and allow us to capture information specific to each of our clients. This allows us to produce detailed, meaningful reports, analyze results and work with our client partners in reducing losses before they occur. Claim and administrative services are available for all property and casualty lines with emphasis on commercial trucking, automobile liability, general liability, workers’ compensation, physical damage and cargo areas. Services offered include centralized claim reporting, claim acknowledgments, index reporting, 24-hour contact, field investigation, formal file reporting, regular claim reviews, escrow fund establishment, maintenance of check registers and customized management reports. Services can be provided to insurance companies, program managers, self-insured entities, corporations and any other alternatively funded organizations. The TPA Division’s blend of experienced staff, nationwide coverage and flexible automated systems create partnerships that last.